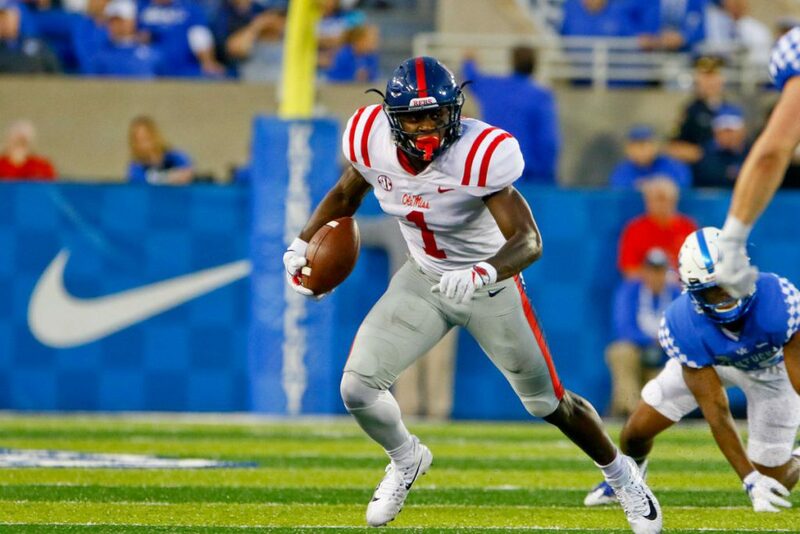 CFBDynasty ranks the best Wide Receivers for the 2018 College Fantasy Football season. These are our pre-spring rankings which are certain to change multiple times before our final college fantasy rankings before the season begins. Here are the QB and RB rankings. At 6’6, TJ Vasher is certain to get a lot of red zone looks. He should be the top target in an air raid offense that spreads the ball around. Air raid offenses are typically maddening for fantasy owners when it comes to WR’s, sometimes they get 12 rec and other games 4. Vasher has potential to get consistent targets. 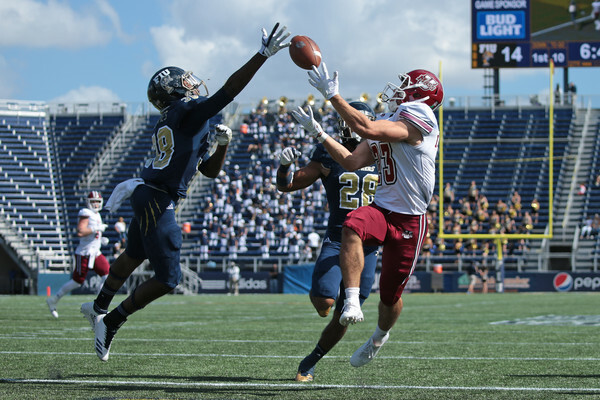 With back to back 60-catch seasons, Andy Isabella is a consistent fantasy producer. He should continue into the 2018 season with his QB Andrew Ford although he’ll likely be unstartable in the fantasy playoffs. 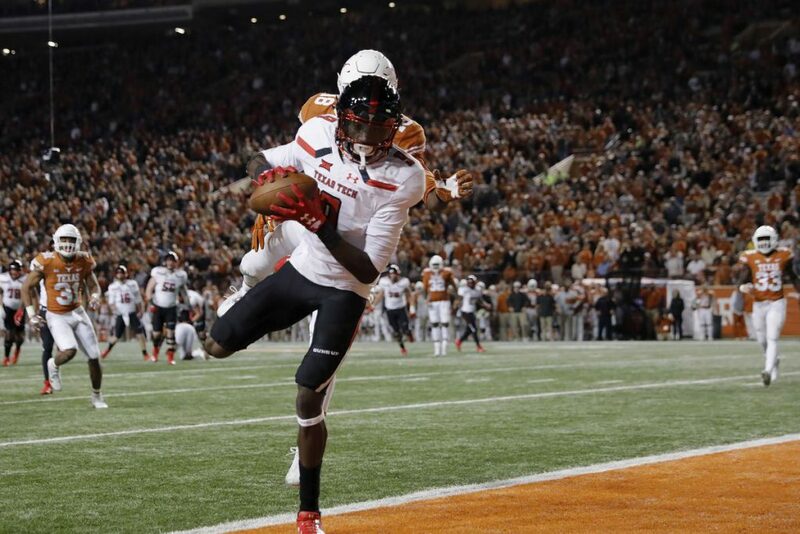 James Proche is the leading returning WR on a pass-happy team that also returns their QB. Courtland Sutton and Trey Quinn left for the NFL, who combined for 182 reception, 2300+ yards, and 25 touchdowns last year. 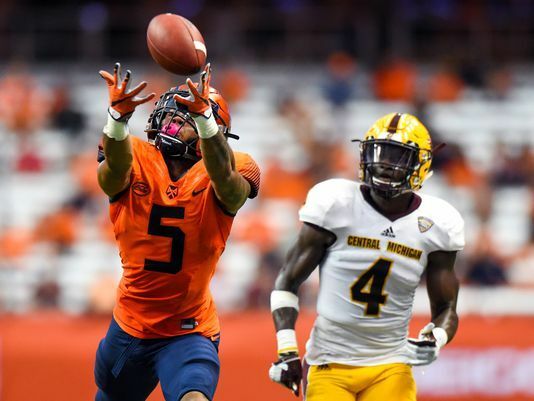 Devin Butler is the leading returning WR on Syracuse, a team that returns Senior QB Eric Dungey(#10 QB in our spring rankings). Butler will be the main recipient of the stats of the top 2 WR’s which departed, totaling 194 rec, 2200+ yards, and 11 TD. 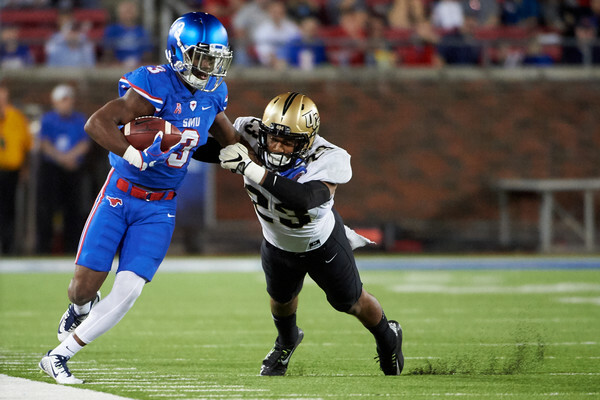 Teddy Veal had a solid first season playing for Louisiana Tech after transferring from Tulane. Fantasy pipeline Tech started J’Mar Smith for his first full season, and he could take off in 2018. Veal had more than double the receptions of the #2 WR. AJ Brown’s biggest challenge in 2018 will be catching from a new QB on a team with a still loaded WR corps. Shea Patterson transferred to Michigan and Jordan Ta’amu steps in as the starter. Last year he filled in some with 1682 yards and 11 TD. 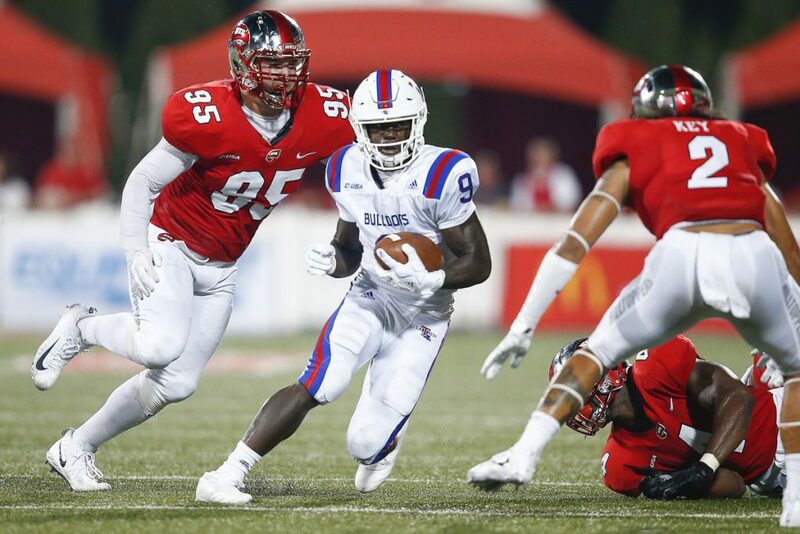 Ole Miss will continue to pass the ball a lot and AJ Brown will thrive. 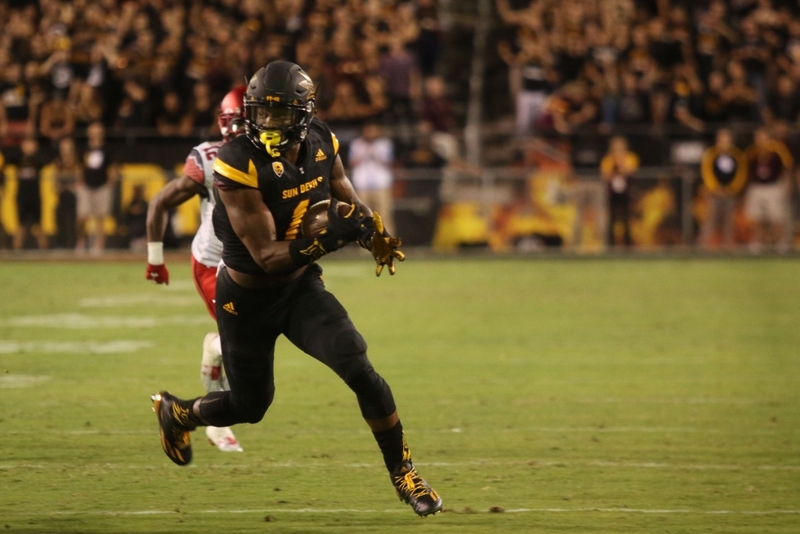 N’Keal Harry is the feature of the Arizona State offense and they’ve looked to get him touches any way possible. New Head Coach Herm Edwards steps in and is somewhat of a wildcard because he hasn’t held an HC job in quite a while. 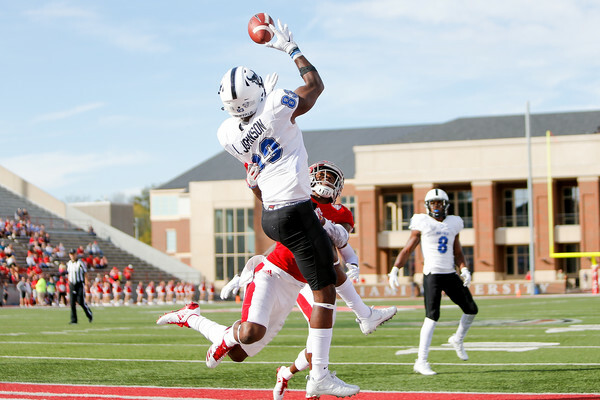 Anthony Johnson was the primary target for the Buffalo Bulls in 2017 and caught passes from three different quarterbacks, all of which will return in 2018. All signs point to another huge season for Johnson. MTSU’s offense faced adversity on the injury front in 2017 but Ty Lee shined even with a backup QB. 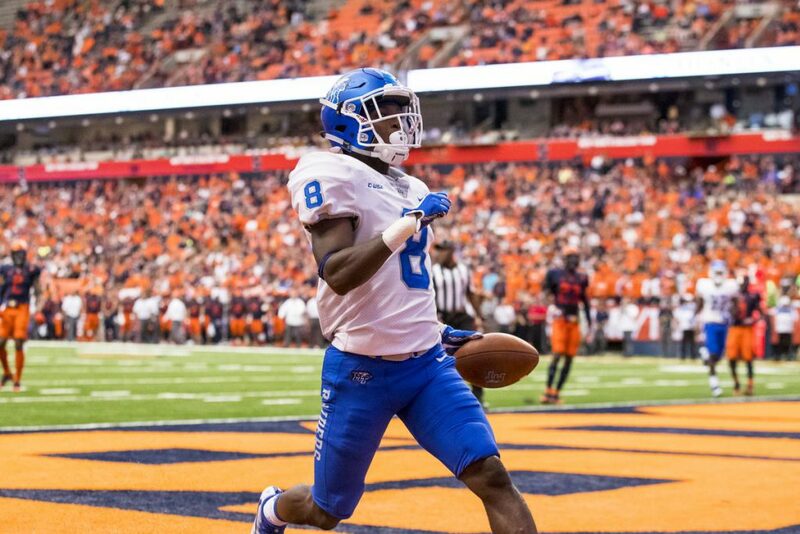 With Brent Stockstill back healthy and the #1 WR off to the NFL, expect a huge season from Ty Lee, who may lead the country in targets. 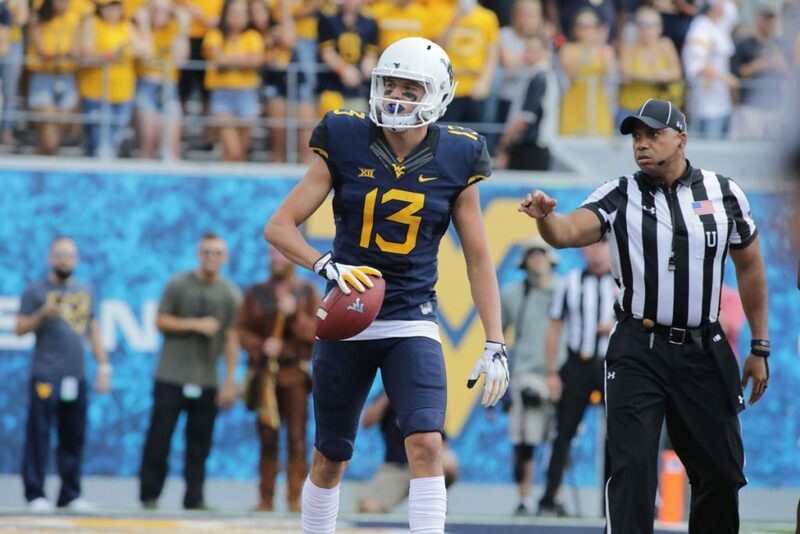 David Sills was a touchdown machine and his QB Will Grier returns for another round of what will easily be the best 1-2 combo for college fantasy football. West Virginia is a pass-happy offense and that will continue in 2018.